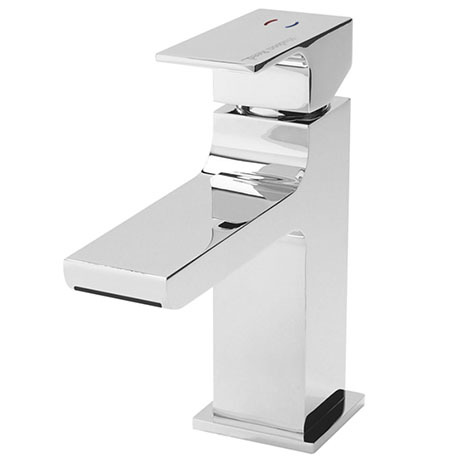 The designer Art Waterfall Mono Basin Mixer with push button waste, bring the latest in design to your bathroom with the contemporary Art range. The graceful lines of the slimline spout are repeated in the practical lever handle. "Love the tap. Looks great, although I'm sure there will be a constant battle against water marks, but what do you expect with a chrome tap. So far no complaints. Be aware though that the trap that comes with it does not allow the 'plug' to be removed." Thank you for your very helpful and efficient service. Very impressed! We are also thrilled with our purchase. Please keep up your excellent service.